a 9mm fisheye lens, a macro adapter and a street case in which to carry it all. That’s a total retail price of £1,200. The E-M10 has a 16.1-million-pixel, four thirds-sized CMOS sensor and a TruePic VII image-processing system. The 1.44-million-dot EVF displays a 100% field of view and has a 120fps refresh rate. The 14-42mm EZ Pancake zoom lens is a slim and compact optic that is equivalent to a 28-84mm lens in the 35mm format. The 45mm f/1.8 portrait optic is ideal for low-light people shots without flash, while the 40-150mm zoom has high-speed AF and is optimised for movies and stills. The 9mm fisheye lens is ideal for capturing wideangle scenes. Our second-placed winner is Venpeng Lu from Paris in France. 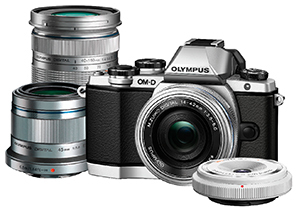 Venpeng will receive an Olympus Pen E-PL5 camera plus a 14-42mm and 40-150mm twin-lens zoom kit worth £500. The E-PL5 offers serious image quality with its powerful 16.1-million-pixel sensor and a new OM-D component in the TruePic VI image processor. 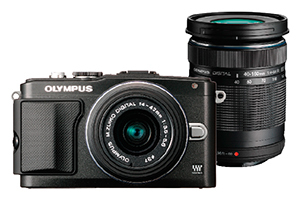 The camera has lightning-fast autofocus, a touch-sensitive LCD screen and full HD video. John Robinson from Cambridgeshire takes third place in this round. 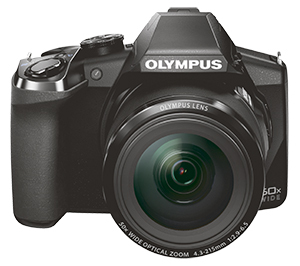 He wins an Olympus Stylus SP-100EE Ultra Zoom camera, with an impressive 16-million-pixel sensor and 3in LCD screen. The camera includes a handy autofocus lock so you need never lose a shot due to fuzzy focusing. The camera features a 50x optical Ultra Zoom lens with a focal length ranging from 24mm to 1,200mm, and built-in Dot Sight to make it easier to focus on subjects. 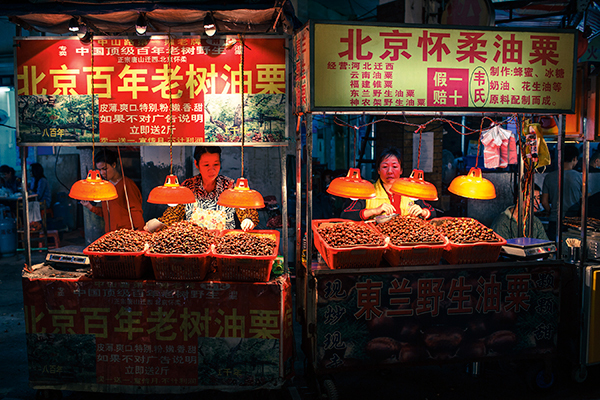 Night photography is perhaps one of the most challenging genres a photographer can attempt. 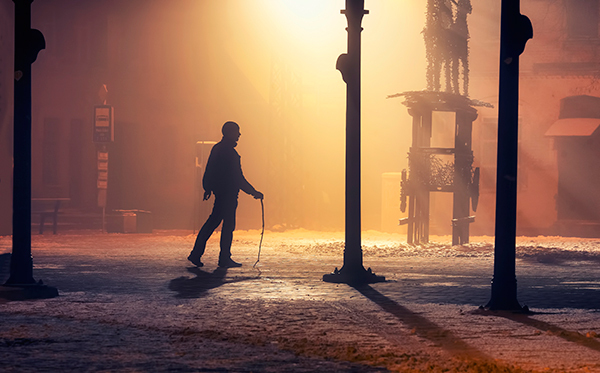 There are a number of factors to consider, such as light, subject and the appropriate settings to shoot in such low-light conditions. Thankfully, we received a number of excellent entries and Svetlana’s image stood out from the rest due to its light, subject, colour and, above all, intriguing atmosphere. It’s a beautiful photograph and a more than worthy winner. This image has so much going for it. The subject, a night market, is fascinating enough, but Wenpeng has succeeded in presenting it in such an engaging way that we had to put it in out top three. One of the key things about night photography is knowing how to treat the available light. Once the light is handled, the colour is the next thing to think about. How do the two complement each other? Wenpeng has got them both exactly right and has presented a perfect composition as well. John tells us that this shot features preserved industrial steam locomotives at the Rocks by Rail Museum in Cottesmore, Rutland, on the night of 15 November 2014. 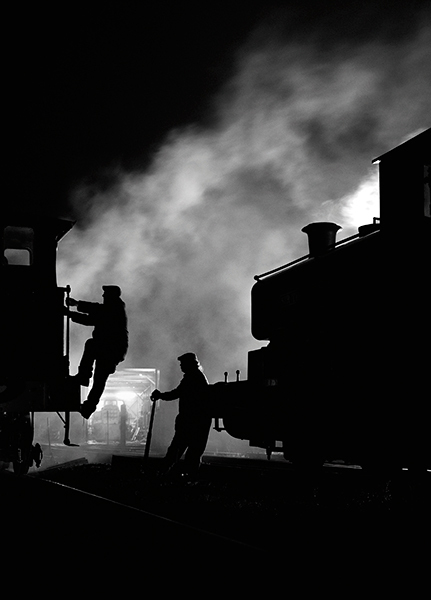 By exposing for the smoke in the background, John has managed to capture these two silhouettes hard at work. It’s an image that looks almost like it could have been taken decades ago and, as a result, it is imbued with a beautiful atmosphere.